Homescapes is the latest simulation game in the series of quiz games released by Playrix Games. 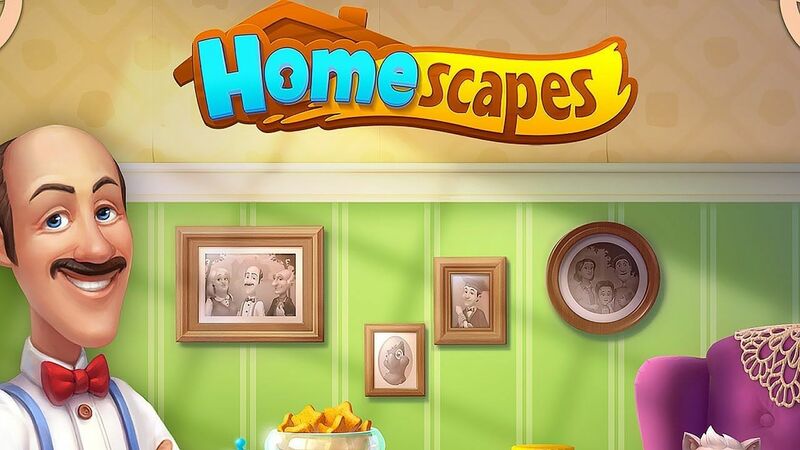 Like previous game: Gardenscapes, Homescapes focused on tackling match-3 puzzles, helping players earn stars to upgrade their childhood home and purchase new items for the home. Stars can be considered a currency used to accomplish tasks. 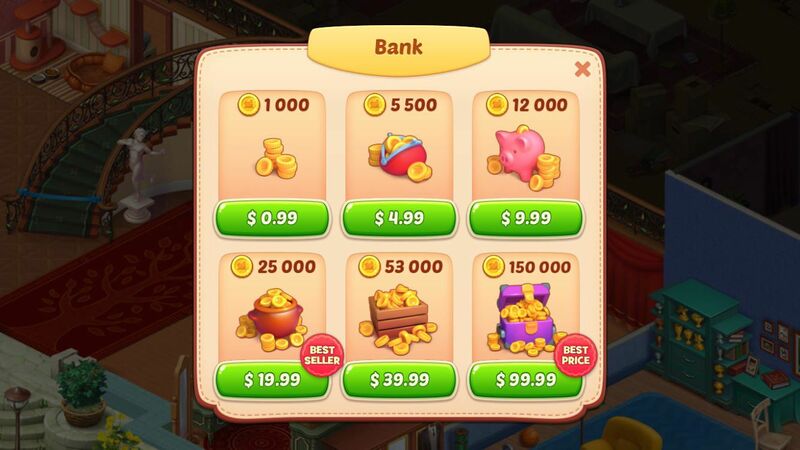 In addition, the coins in the game also plays a very important role in the game progress. Coins can be used to buy items boosters or buy more lives to continue playing the game. Coins are also used to buy decorations in the house. 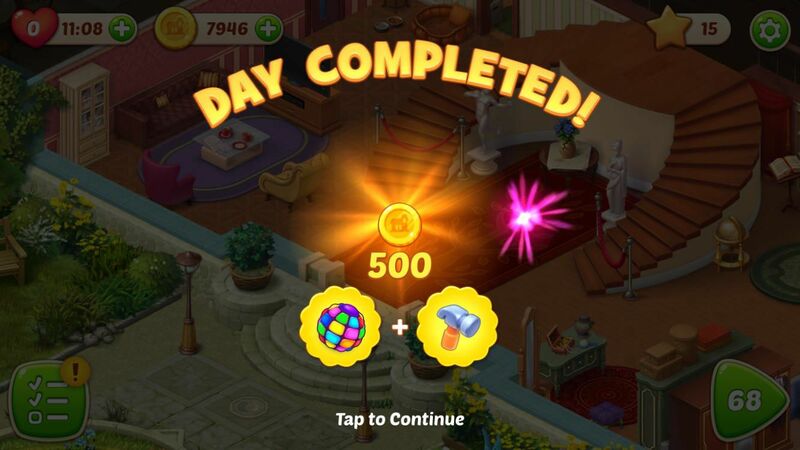 With important roles in Homescapes, coins should be used in a scientific way, and you should try to earn as many coins as possible. So, I will share with you the tips to earn as many coins as possible when playing Homescapes. 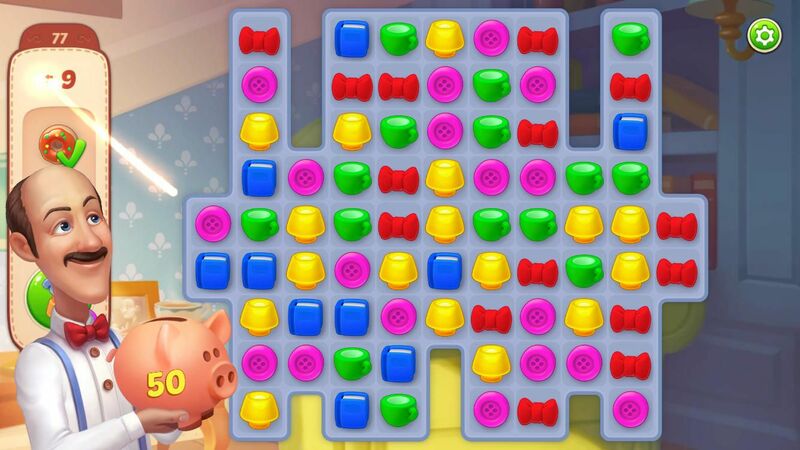 Match-3 puzzles are a major part of the gameplay of Homescape, so completing the match-3 puzzles is one of the main ways to earn money. Once you complete a level, you will receive about 50 cents. If you complete the level with as few moves as possible and the power-ups are not used up, you will also receive additional bonus coins. Of course, a number of extra coins at the end of the level is relatively small. I have been through level 77 with the remaining 7 moves, which are converted into power-ups that create coins. But then I only get 66 cents all, including 50 cents fixed and 1 – 2 cents for each unused moves. The tasks that Austin housekeeper gives you in the game’s menu often have to spend a certain amount of stars to complete. Although the game does not list any rewards that you will receive when completing the quest, you will still receive some gifts when completed. Example: After completing many tasks related to restoration of the statue in the main hall of the house, the artist who helped me gave me 500 coins as my contribution to him writing. These rewards are often displayed in character chats, and if you see a message box on the right side of the screen, open it and receive it. 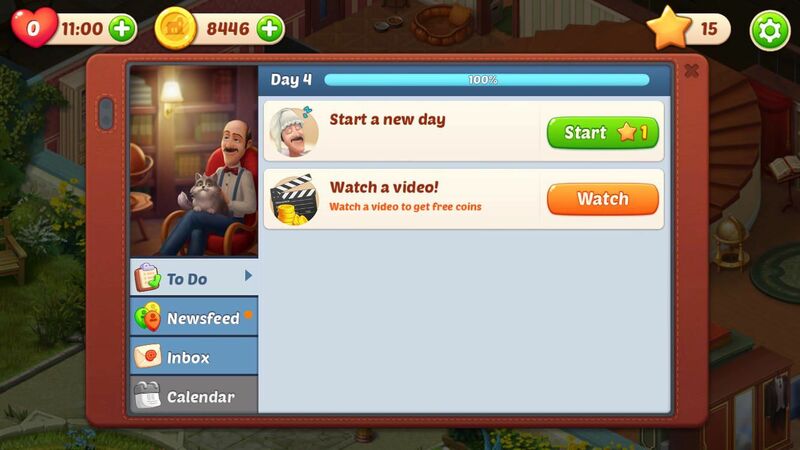 The task system in the game Homescapes is broken down into days, with each day being a specific topic or goal. For example, one day your task will involve the stairs and the surrounding area, while the other day, the tasks will only involve raising pets in the house. In the To Do list, you can see your work progress in the current day based on a progress bar at the top of the task list. Try to complete 100% of the day’s tasks, and you’ll be rewarded with lots of support items and a good amount of coins! Playrix Games is not inserting ads between screens as most publishers nowadays. The only ads in the game are video ads that are often on the daily to-do list. When watching this video, you will receive a small amount of money, about 100 cents per video. These ads usually do not appear much, please pay attention to the list of things to do. Getting free coins is the best, but sometimes it’s not enough to get through a difficult period. Then, you can buy coins with real money at any time by clicking on the plus symbol next to your coin number. Sometimes there are promotions. These promotional messages usually appear when you enter the game and will be on the right side of the screen until you buy them or they end. I once bought 12,000 coins for only $ 0.99, so cheap and economical. In the October update, Homescapes updated the features of the lucky wheel similar to Gardenscapes with rewards including coins. Remember to spin the lucky wheel every day so that your bag always has money. Here are 6 ways that I have applied to earn coins while playing Homescape. I draw this experience myself during gameplay. If there is any way you know that I have not mentioned, please share under the comment or send me a message.